MyColourScreen is a (fairly) new website devoted to the displaying and sharing of beautiful and elegant homescreens. I'm a huge contributor to those types of threads on forums, but lets face it, a thread really isn't the ideal place for sharing them. Well this is where MyColorScreen comes in. You sign up, get an account, and start uploading. The uploading feature is very well done. Your screenshot actually shows on the site inside a phone display, and you get to choose the phone too, it's a nice little touch. You can upload up to 5 screens, and once posted, visitors can slide through them just as if they were using your phone. Great for those screens that need to be viewed together to get the real feel of them. Even if you aren't great at creating beautiful screens yourself, just taking a look at the site offers so much inspiration, there are some really beautiful screenshots on there already, by some extremely talented guys. I'm proud of myÂ manyÂ homescreen designs, but some of these completely put mine to shame! Currently the service is in beta and invite only. But we have teamed up with MyColorScreen to offer 50 invites to readers of Droid-Den. Tweet the following text on twitter together with aÂ screenshotÂ of your current homescreen (Click here to auto-fill your tweet). Follow our twitter account (So we can DM you if you win an invite). If you don't have twitter (why not?! ), simply post a comment in this thread with a picture of your homescreen. The competition will end Â at midnight (GMT) on Sunday 27th August and winners will be chosen at random. MyColorscreen is a new way to discover and share your deviceâ€™s themes and customizations. If you have an Android phone and want to know what widgets people are using, this is the place for you. Explore MyColorscreen , and you will find hundreds of unique android screens. To get more information about each screen, drop a line to the contributor, or just mouse over a widget and click the link to be taken to the applications website. 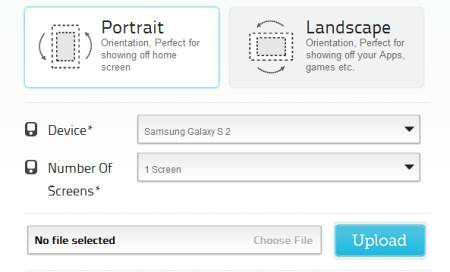 Most of all, our intention with MyColorscreen is to create a home for your devices screens, and allowing users to personalize their profile page to fit their lifestyle. We have created MyColorscreen as a home, and a knowledge center for designers, developers, and other creatives to share their work relating to mobile devices.